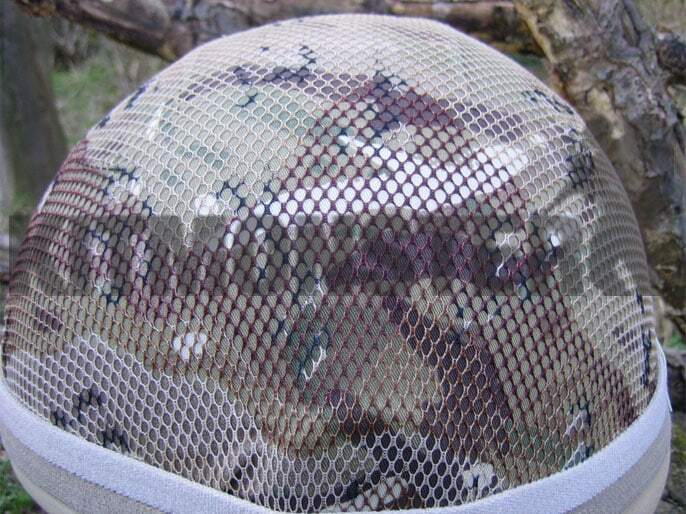 Genuine US Military Issue Desert Camouflage Net. Current stock is possibly the last in the country and may be the last we ever see. Be quick these will sell out fast. 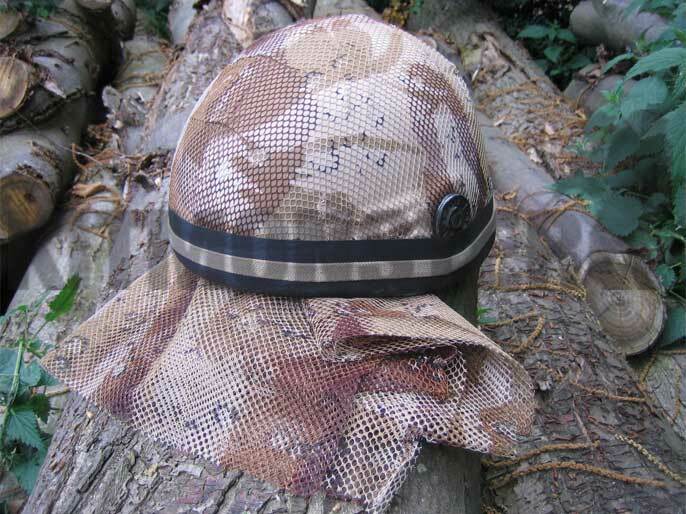 Robust nylon type material overprinted with the old 'Choc Chip' camo pattern. The nylon construction means these nets won't fray and disintegrate when cut to size. It is however rough to touch and not suitable as a scarf. Shown here over British 2 Colour Desert DPM, but equally effective over MTP. These nets measure approximately 120 x 75cm. Please note edges may not be square as these are cut down, by hand, from much larger nets. Larger and smaller nets are available, please see separate listings. These nets are large enough to cover 2 helmets, including the new MKVII. 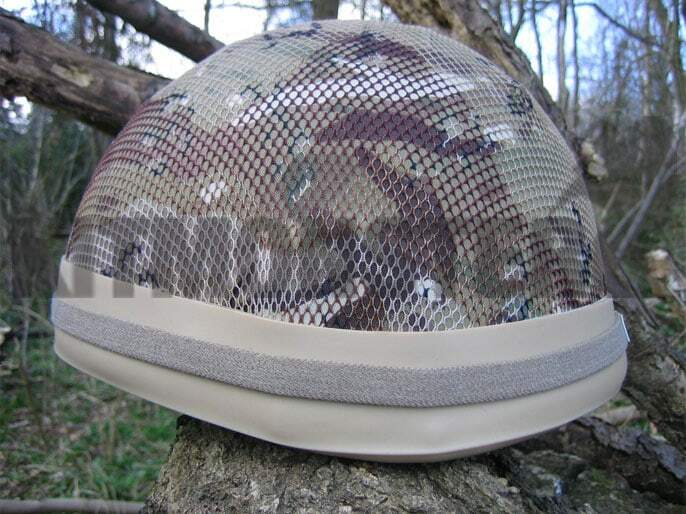 Multiple views shown, helmets and bands for illustration only, single net supplied, no other items are included.